How many scrap tires does TRACC recapture for value-added recycling in New Brunswick? TRACC's advanced tire shredding and crumbing technology recaptures more useable rubber today than ever before. Since full-scale tire recycling began in the Province, vehicle manufacturers have been gradually increasing their tire size specifications and the percentage of light trucks and SUV's in the overall automotive market has risen as well. The number of scrap tires received annually from within New Brunswick at our plant gates totals roughly 1,200,000 PTE's (passenger tire equivalents). To ensure we can maintain production schedules and meet the growing demand for TRACC products, our use of scrap tires from elsewhere in the Atlantic region has also been expanding in recent years. Does TRACC routinely manufacture rubber crumb for bulk sales? 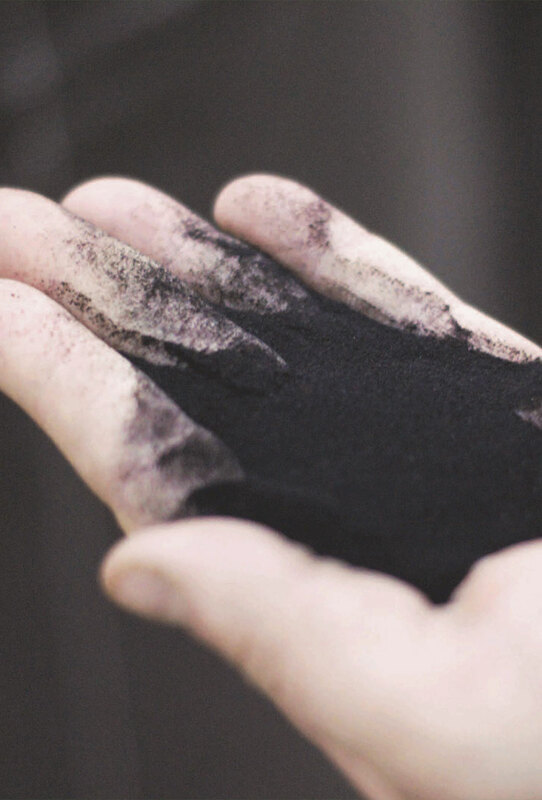 Demand for our various recycled rubber products means all the rubber crumb we generate is already destined for in-house production lines here at TRACC. However, we can arrange in advance to produce specific products for large custom orders. Beyond the manufacture of specific recycled products, can TRACC respond to special orders or provide consulting services related to recycling? TRACC has been involved in a number of special order projects over the years, including production of tire shred aggregate for use in highway construction. The large volumes of finished material required for such major operations demands extensive advance planning, however, as well as a specially-designated scrap tire resource. Backed by decades of hands-on experience in the field, TRACC is always ready to provide a range of consulting services to organizations or enterprises considering a move into recycling on an industrial scale. Are TRACC products available to retail customers as well as wholesale markets? The majority of TRACC products are available to North-American consumers through retail outlets or independent contractors at the local level. For information on where to find our quality products in your community, just email us at info@tracc.ca. A range of wholesale contracts cover TRACC product availability in overseas markets, while our livestock mattresses are available exclusively from Pro-Mat Ltd., Woodstock, Ontario, Canada. Where can I find additional information on recycling in New Brunswick?